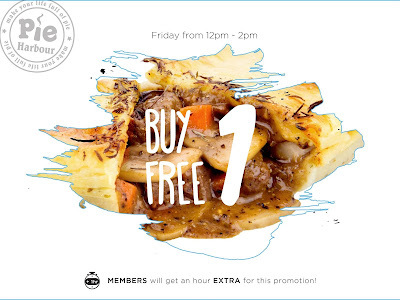 Syok yourself on this Friday afternoon with delicious Aussie Pie! Get Buy 1 FREE 1 from 12pm-2pm at any outlet of #PieHarbour. Grab this great deal now before it finish! 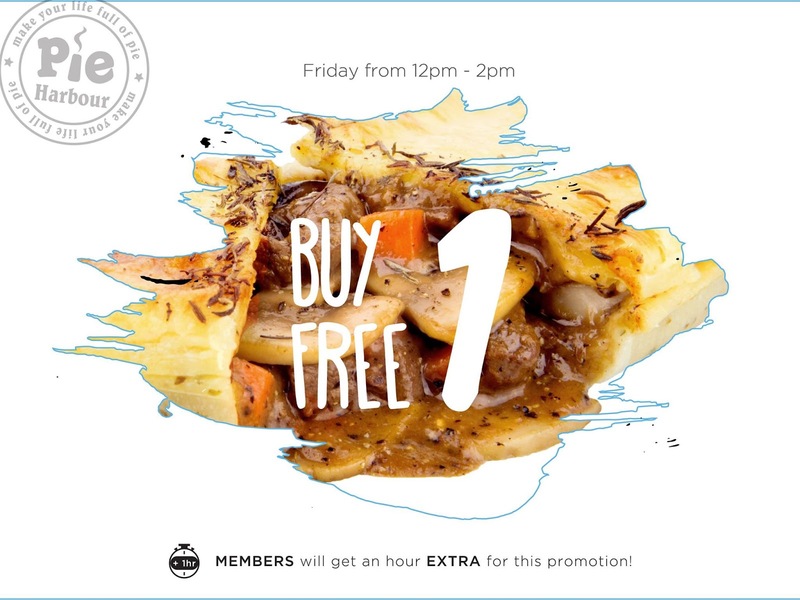 And good new for all members, now you can enjoy this promotion for extra one hour, 12pm-3pm, Friday at any outlet of PieHarbour. =) Tag everybody!! 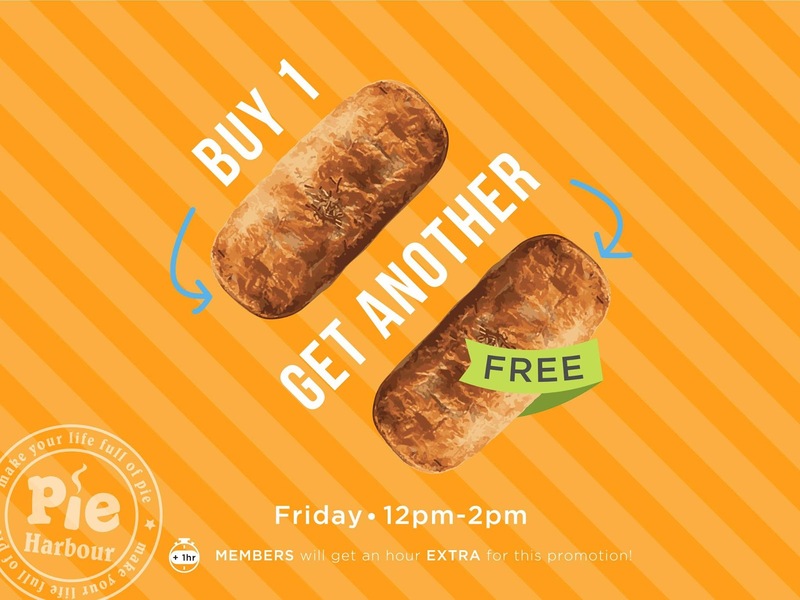 As for those non-members, sign up for member now to enjoy this offer. More is coming up!